When Falcon Heavy lifts off, it will be the most powerful operational rocket in the world by a factor of two, with the ability to lift more than twice the payload of the next vehicle, at one-third the cost. 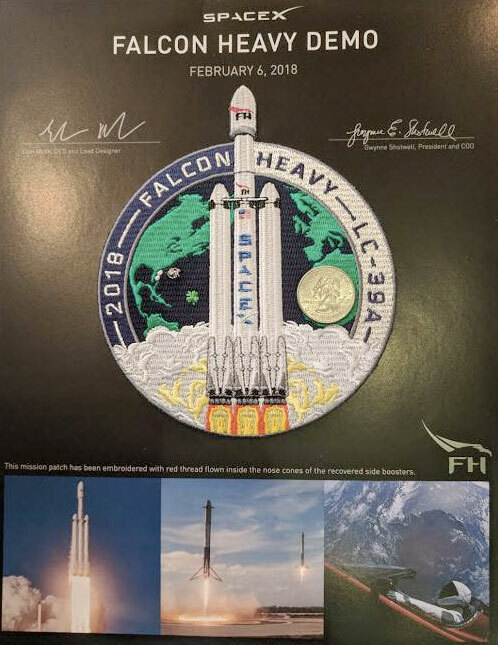 Only the Saturn V moon rocket, last flown in 1973, delivered more payload to orbit. Robert Pearlman There seems to be a mystery bit of symbolism in this patch. 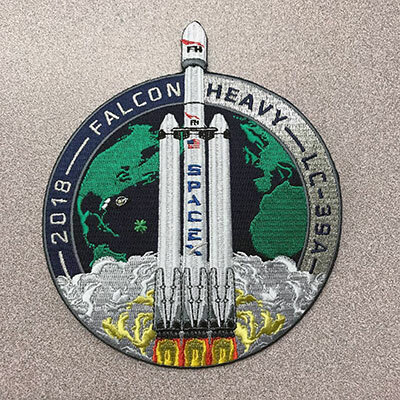 The landing pads and droneship are clearly represented and the four-leaf clover is a carryover for luck from the fourth launch and first successful flight of the Falcon 1. 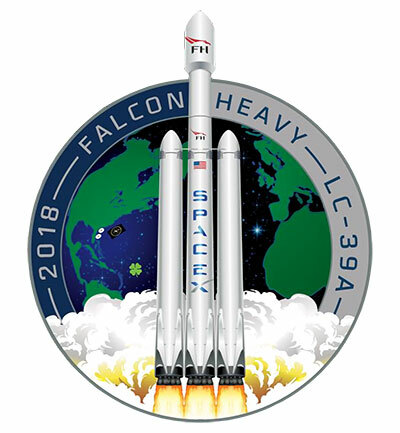 But the blue "star" to the right of the Falcon Heavy seems to be too prevalent not to represent something. 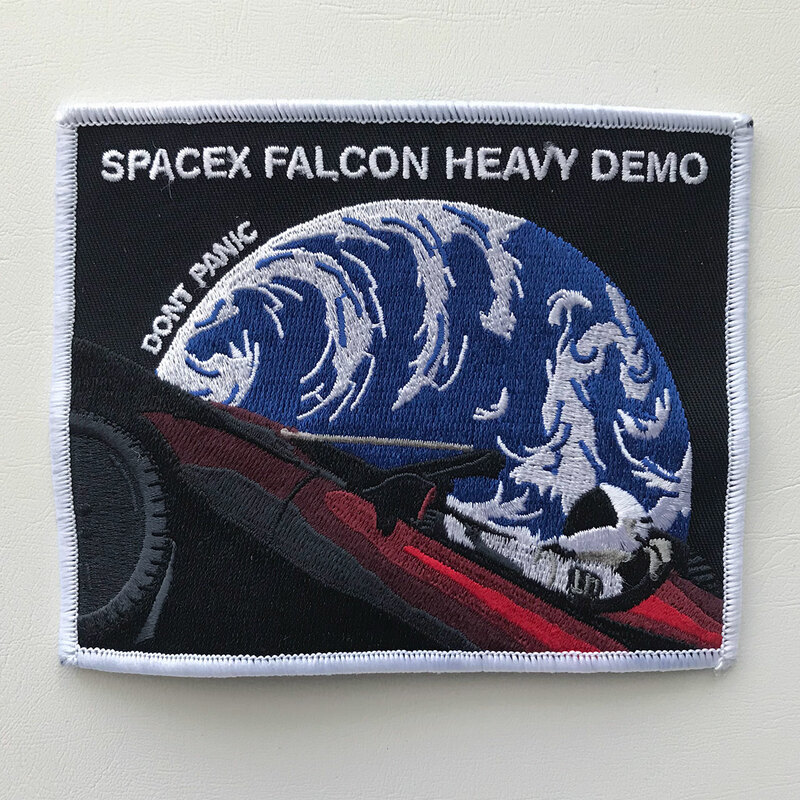 SpaceX representatives at the press site did not know (or were not telling) what it symbolized. SkyMan1958 Perhaps it represents Starman? SkyMan1958 Huh, no Roadster on the patch? Tom I believe the "star" on the emblem may be a reference to Starman. 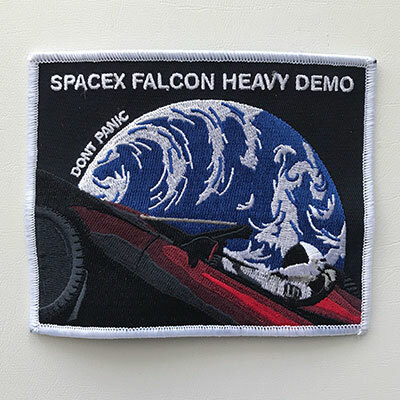 This mission patch has been embroidered with red thread flown inside the nose cones of the recovered side boosters. 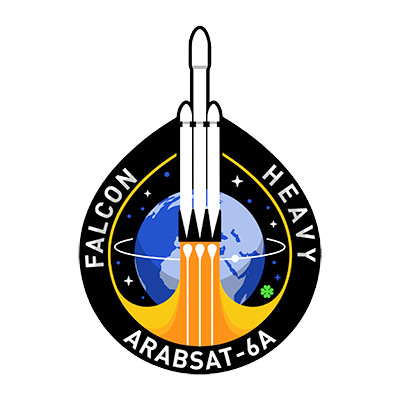 Robert Pearlman SpaceX's insignia for its Falcon Heavy launch of the Arabsat-6A satellite set to lift off from Pad 39A at Kennedy Space Center in Florida. lucspace That has a STS-1-esque feel about it... I like it!